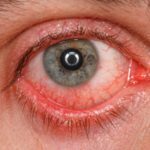 Have you heard of someone having conjunctivitis? Have you heard of someone having pink eye? Did you know that they’re the same thing? Conjunctivitis (also known as pink eye) is a common condition involving the eye. Even though it might look a bit scary, it’s usually not serious.